The game revolves around Kim, a high school student who just moved to a small island. In order for Kim to return to the city he must get a scholarship that only a class representative can have. 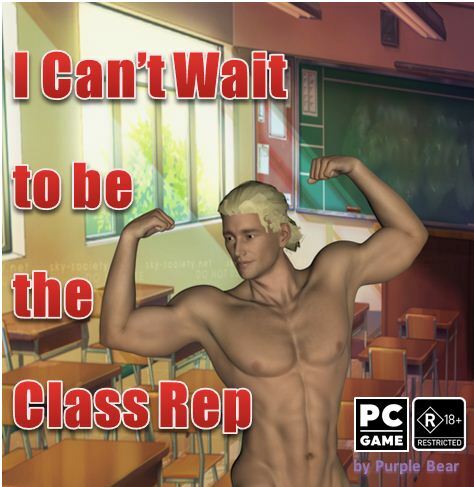 But his journey to be the class rep isn't easy. He has to persuade each of his classmates to get a vote. The game is made by RPG Maker MV and the stills are from Daz3D. !! !Use WinRar or 7zip when unzipping the file. It's a shame this game never got finished. It's so good.. The game is silly, but definitely "anime silly" and I think that was by design. This plays like a game that doesn't take itself TOO seriously because the idea is to titillate the player - not make them bang their head against the walls with puzzles. But there are a puzzles and challenges to get to the hot scenes. This has to be the dumbest, yet best thing I've ever seen.